Nail salons are all the same, right? The same jet tubs to soak your feet in, products to do your nails with, and overall packages available for you to enjoy? Welcome to Noire the Nail Bar, located in Nashville, where we are changing the way of the industry by eliminating some of the things that we simply couldn’t get past. Our main priority is something that you’ll see carries into various parts of our salon. The first place that you’ll see this implemented is in the elimination of jet systems.The reason that we chose to eliminate jet systems is that this system requires a minimum of 20-minutes to sterilize this system. This sterilization process is necessary in order for us to kill any bacteria or viruses that could be passed through the soaking in the tub. The reason that we chose to eliminate jet systems is that this system requires a minimum of 20-minutes to sterilize this system. This sterilization process is necessary in order for us to kill any bacteria or viruses that could be passed through the soaking in the tub. 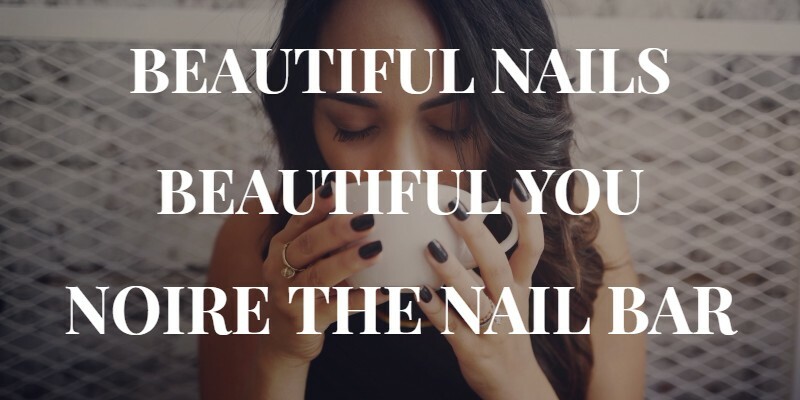 Unfortunately, it’s not entirely feasible for nail salons to do so. Most salons will take walk-in appointments, which can lead to a line that goes out the door or the need for immediate service when a tub opens up. Because of that, most nail salons will spray and clean their jets, which is standard, but it isn’t to the quality of cleanliness that we want to provide. At Noire the Nail Bar in Nashville, we want to rise above the standard and provide a new level of cleanliness to our customers. We have full intentions of being a germ-free salon and are considered medical grade because of our process. Because we have committed to cleanliness, we had to create a new method. The method that we’ve created ensures that each of our customers enjoys the highest quality of cleanliness while still being pampered to the fullest level possible. The bowls that we use are covered with a plastic linen. This creates a barrier and protects each customer from any cross contamination, all without ever having to use the jets that slow down the process and increase the chances of contaminating your luxurious treatment. Beyond that, each of the nail buffers, nail files, foot files and any other tools that are used in the process, are disposable. We have truly made a majority of our process fit the “One Customer, One Use” mentality. One of the items that we don’t dispose of is our medical implements. Each of our medical implements are double sterilized; both with a wet and dry sterilization process. We soak our implements in a sterilized solution for no less than 20 minutes. After that, they are set under a UV light for an additional sterilization, just to make sure that there is no chance of cross-contamination. Your time at the salon is meant to be enjoyable, so don’t let germs ruin that time! Noire the Nail Bar is the one place that you can truly feel confident about the type of process that we enforce in order to ensure all of our equipment is clean and sterile. Call us today to schedule your manicure and pedicure appointment!